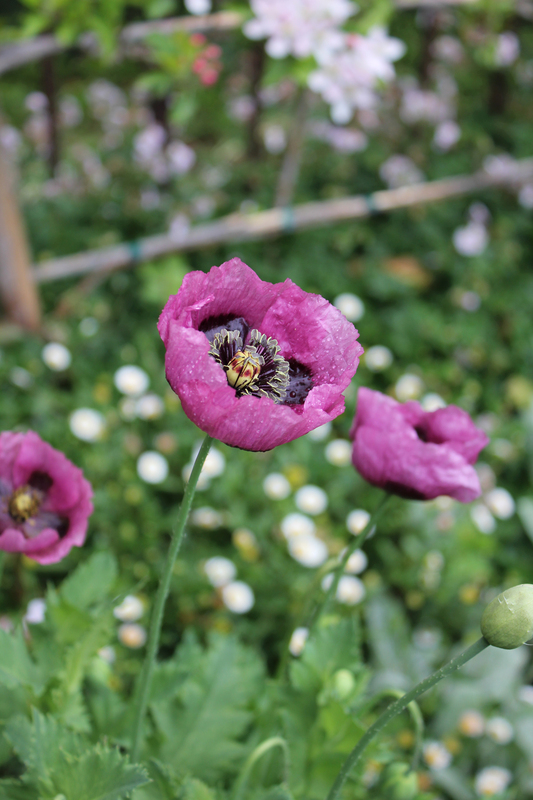 Trish the poppies are so gorgeous, your gardens are quite renowned! Than you for sharing and will look forward to more! Loving your poppies!!! Needless to say, your garden is always an inspiration. Thank you for all your updates. Hi Clare…Poppy is “Lavender Breadseed” link here. Planted it years ago and has self seeded ever since. Thank you for filling my morning with joy. These poppies are amazing! And already in flower! What beautiful images! 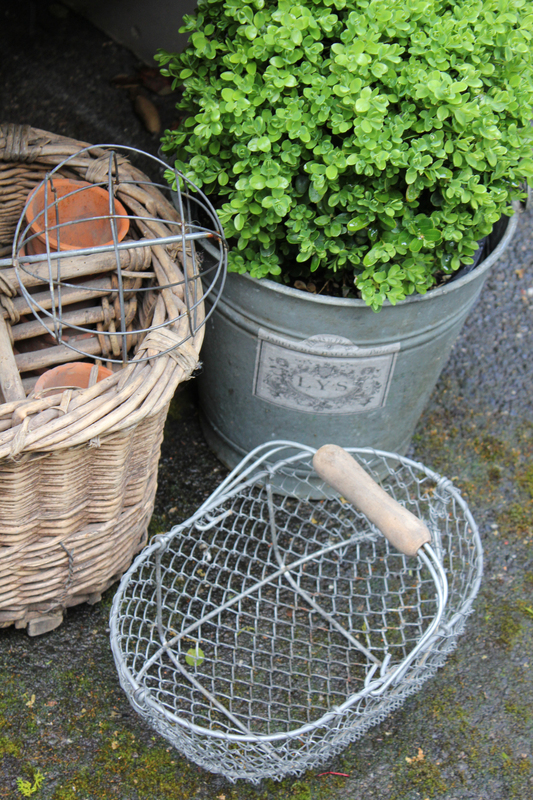 Your garden looks like already “Ready”! Bravo! And have I spotted first roses..?..? Very green here in the Perigord, but lost a few flowering ‘friends’ because of the long and cold winter. And I’m still battling with weeds and brambles. Looking so much forward to your next garden post. Hi Karin! Yes…barely starting Bourbon roses Souvenir de Malmaison, Deuil de Dr. Reynaud (hot pink). Four arches covered with four old roses along this pathway. I’m still weeding also! Thanks for sharing the photos of your beautiful garden. It’s like an online garden tour. So much enjoyment for us all! I need to get my own power wash. They are incredible. All my benches look like new! Wish there was a cure for the weeds! Thanks for posting the link to Annie’s for the Poppy. I just ordered 9 different ones including the one you photoed. I planted 2 varieties in 4 inch pots…probably 10 years ago. Though the raspberry colored one didn’t reseed, this pink variety self-seeds like crazy. All free plants! The seed pods are beautiful as well. Hope you enjoy them! Absolutely gorgeous!! Your pictures of the poppies are stunning!! All of my roses are about ready to burst open… can’t wait… and my lavender is in full bloom right now. Love this time of year!! Thank you for sharing! Really!!! So incredible! Love your garden and adore your photography! My garden is growing nicely!!!!! Such rich colors of the poppies! 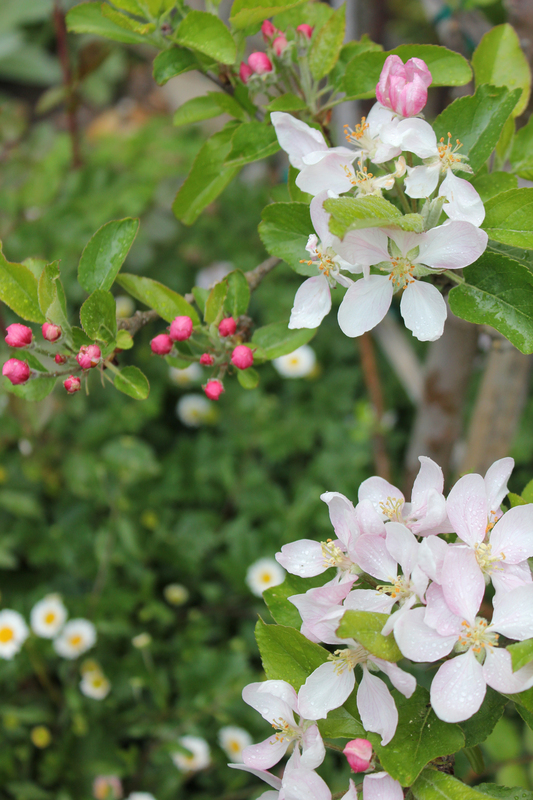 But I also love the more subdued petals of the apple blossoms. are those who are more serene and inconspicuous. by the next time I see you, it will look more lovely. WOW!!! Such a gorgeous garden! I could easily live there. I don’t have a green thumb, but you just inspired me to try again. Thanks for the link to Annie’s. I’m working in my garden and will be adding my ever-blooming hydrangea this coming weekend. Spring is such a beautiful time to be in the garden. Thanks for the inspiration. OMG! An absolutely GORGEOUS poppy! We just planted platycodons, poppies and tree peonies today. Yeah! The soils is finally workable and sure smells great, you know? Fallon from Garden Valley Ranch in Petaluma came a few weeks ago for a visit and taught us how to correctly prune roses. Are you very far from there? I mean soil not soils! Even your dry stone paths are a pleasure to my eye…let alone the plants! Those poppies really do steal the show I am sure. 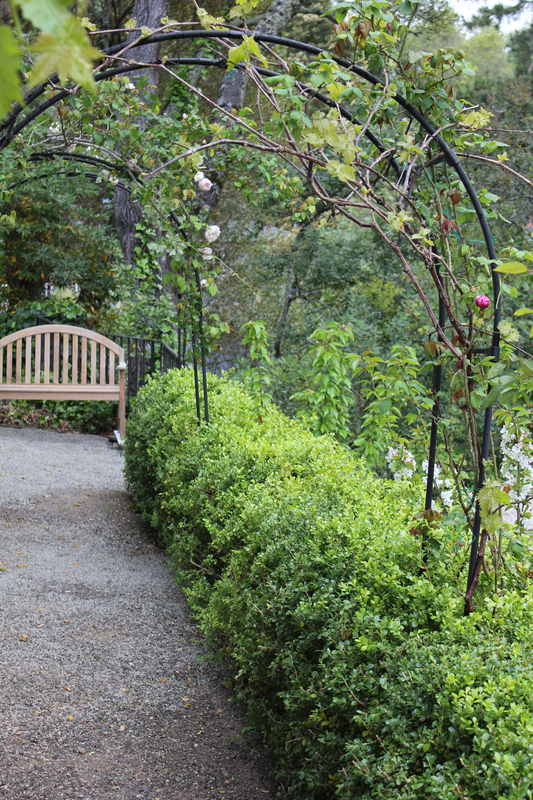 What a glorious way to start the day…with a walk through your garden. Absolutely delightful. My roses are coming to life again and that puts a song in my heart. Thank you for the link for the poppies, yours are beautiful. new to wordpress and trying to find garden blogs….you’re my first! Pictures are beautiful & you just reminded me that I wanted to try poppoes this year, I always forget till I see someone’s elses. Trish – to use an over used expression … “swoon”. Seriously beautiful garden you have there. We have nothing blooming yet, so nice to see things coming alive!! Skype has established its internet-centered client beta for the world, following launching it broadly in the Usa and You.K. for immediate messaging conversation (no video and voice yet, these need a connect-in installing).